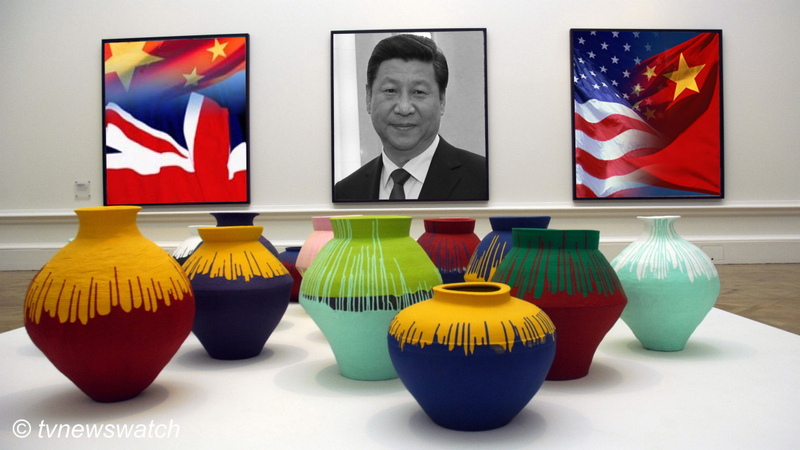 Xi Jinping's visits to the West are an attempt to drum up business and investment. But even his US visit didn't come without a fair share of controversy and criticism. But his upcoming visit to the UK is likely to be far more uncomfortable for the Chinese president than his American tour. Reports on Chinese television insisted Xi's visit was all about fostering business relationships and boosting investment [CNTV]. However, Labour's new leader Jeremy Corbyn is reportedly planning an awkward welcoming party for the Chinese leader and is expected to raise questions about China's human rights record [BBC / Guardian / Express / Daily Mail / Channel 4 News / SCMP]. Corbyn, who has been branded 'incompetent' by one of his own shadow ministers [Telegraph], has promised to raise the issue of human rights though whether he'll break protocol and raise such issues during the state banquet remains to be seen. Xi also faces criticism over unfair dumping of steel which many say is contributing to the devastation of the UK steel industry [FT]. There has been mounting criticism concerning dumping by China of steel on world markets which some say is contributing to falling prices and creating havoc in Europe. Anna Soubry, the business minister, revealed this week that she did "talk about Chinese dumping and many other things related to the steel industry" when she visited China last month. However it is not clear whether China will soften its approach and drawback on its dumping. The problem is not new. Over the past decade the European Union and China have clashed several times over the alleged dumping of products ranging from wine to solar panels to steel pipes. Indeed a World Trade Organization report published in 2010 cited China as being the top offender for dumping [Economy in Crisis]. And while the EU announced in March this year that it would impose anti-dumping duties, the policy was set to last only six months [EurActiv]. China has continually protested against protectionist policies, but has itself often imposed increasing protectionist measures of its own. Since China's opening up policy trade has certainly improved on the previous half century when the West was essentially shut out of the Middle Kingdom. But while there have been some benefits, the playing field is far from level when it comes to doing business. This is particularly true of the tech industry where due to Internet restrictions, censorship and legal requirements, Western firms find themselves excluded. In a speech delivered by Xi Jinping during his US visit he spoke of the development of an Internet "in line with their [China's] national realities," a phrase that many critics feel is in contrast to the open Internet in the West. Such statements created much consternation and even anger amongst many attendees of an Internet forum sponsored by the Chinese and Microsoft. China often allows Western companies to bring along expertise but few are allowed to fully establish themselves in China in the same way Chinese companies are able to elsewhere. Many foreign business executives also complain that increased restrictions favour Chinese companies and smack of protectionism. Even as far back as 2010 some business leaders were pondering their position and even contemplated leaving China because they were weary of slogging through what some referred to as an unpredictable business environment [VoA]. Recent concerns surrounding China's economy has also raised stakes and resulted in at least some capital outflow [FT]. China's influence is growing however and the footprint of investment is getting larger. From building roads and mobile telephone infrastructure in Africa to the construction of nuclear power stations in other parts of the world, China is developing well beyond its borders. But there have been concerns raised over China's growing tentacles into parts of the developing world and its increased use of soft power. Indeed critics say that China is only interested in Africa's resources, that its exports to Africa threaten local industries, and it's role on the continent is displacing Africa's traditional partners, like the United States [CarnegieEndowment]. China has many business interests in Britain too. In fact Britain is one of the more popular destinations for Chinese investment [BBC / Telegraph]. The latest deal is to build a Chinese designed nuclear power station. But with this deal comes a great deal of controversy. The costs of decommissioning as well as safety concerns have called into question the current government's commitment to nuclear power. The accident at Fukushima is still fresh in many people's minds, and while Britain may never see a massive earthquake or tsunami that resulted in the Japanese nuclear disaster, the accident does nonetheless raise important concerns at how a nuclear accident might be contained. Accidents aside, the cost of decommissioning is often forgotten about and ignored when it comes to nuclear power. The cost of decommissioning at Sellafield, the site of the 1957 nuclear accident when it was still called Windscale, is set to exceed £53 billion [BBC], but was nonetheless lower than earlier reported figures of £70 billion [BBC]. Such costs, as well as the risks of safely containing nuclear material that remains unsafe for hundreds of thousands of years, is often conveniently ignored when weighing up the costs of electricity production from nuclear plants [New Statesman]. Despite concerns raised by the anti-nuclear lobby the Chancellor of the Exchequer George Osborne has sealed a deal with China to build Britain's next generation of nuclear plants. But with the ink barely dry concerns have been raised over national security [BBC]. Security sources told The Times that the scheme posed a threat to national security - and a senior Tory MP has called for an inquiry. Caroline Baylon, a cyber security specialist at the Chatham House think tank, said that while Chinese investment is a "good thing" for the UK, "when it comes to very sensitive sectors of the economy we have to be very, very careful". It is not the first time Chinese business deals have raised eyebrows concerning state security. In the UK, Huawei has established a significant and influential presence. This is despite the fact that Huawei is said to have close links with the Chinese government and its military. Indeed a US congressional panel have failed to be satisfied by statements from the companies concerned [Sky / BBC]. Huawei, which began operating in Britain in 2001, has invested over £150 million and created 650 jobs in the UK resulting in deals with almost every major company in the UK's telecoms industry. Huawei's technology has been used in broadband distribution equipment used by BT. TalkTalk, another major client, uses Huawei technology to run HomeSafe, a system to monitor Internet use by its customers in order to offer content filtering and the blocking of adult and other "unsuitable" content. In a further set back to diplomatic relations, Prince Charles is reportedly skipping the state banquet during President Xi's visit. The Palace said that he would nonetheless attend other events where the Chinese president would be in attendance. Prince Charles is a supporter and friend of the Dalai Lama, whose real name is Tenzin Gyatso, and has had a difficult relationship with China's leadership in the past. However it is not clear whether his failure to attend the state banquet is a direct snub to President Xi [Belfast Telegraph]. However it appears that the Prince himself backed down from a pow-wow with his old friend the Dalai Lama in September in order not to create friction with the Chinese because of the upcoming presidential visit [Daily Mail]. Of course the Chinese, a race known for not wishing to lose face, have insisted that many of the issues raised in the media are of little concern. Liu Xiaoming, China's ambassador to the UK, said over the weekend that his country does not "shy away" from discussing human rights and doubted Labour leader Jeremy Corbyn would raise the issue at the state banquet [BBC / Guardian / Telegraph]. Liu said Sino-UK relations were "at their strongest" and appears to be unfazed by the media furore over Xi's visit and criticism of China [Telegraph]. President Xi Jinping's state visit would focus on "partnership" and "co-operation" between the two countries, Liu insists. Meanwhile Xi Jinping has said that Britain has made a "visionary choice" in establishing stronger ties with China [Guardian]. However, only time will tell if things work out in the long term.